Hello, folks. Dave here. The holiday season has officially begun, and what would Black Friday be without spooky shopping suggestions from The Weekly Rot? As always, I believe that nothing says yuletide cheer quite like books. Scary books. As you may have noticed, young adult horror has been making a comeback in 2010. Of course, anyone who has set foot in a bookstore in the last few years knows that genre novels for teens are the in thing. The Borders in Mission Valley has a whole section of the stuff, right up front, close to the doors and the registers. But there was never much horror in the mix. Urban Fantasy, sure. Vampire Romance, yes. But genuinely creepy books? Not so much. Now, thanks to authors like Dan Wells, Jonathan Maberry, and others, teens can get their fair share of shivers and shudders. Better yet, they can get them along with a protagonist their own age. To celebrate this gratifying trend, I present a pair of potential gifts for that young person on your list. Fifteen year old John Wayne Cleaver is afraid that he could become a serial killer. John has good reason to fear. Raised by morticians—including an abusive, now absent father—John is often baffled by human emotions and feels far more comfortable with the dead. To avoid harming others, John has created an elaborate system of rules that curb his violent tendencies, but make him even more isolated. John’s carefully ordered life is thrown into chaos when a new serial killer sets up shop right in his home town. 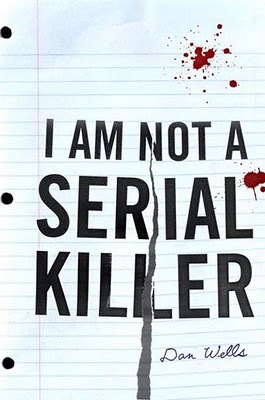 I will be giving away very little when I tell you that this killer is not a man, but a monster in disguise, a demon that fits into human society far better than John ever could. While there is plenty of demonic mayhem (and long passages describing embalming), these pale in comparison to the scenes in which John loses control of the monster within himself. When John grabs a kitchen knife during an argument with his mother, we can’t be sure what he will do. And that is truly frightening. Fair warning, some people (especially over-sensitive parents) will find this book severely disturbing. Disaffected teens should love it. Benny Imura is also fifteen. In the walled compound where he lives, this means it’s time for him to find a job. Either that, or get his rations cut in half. Unable to find work elsewhere, Benny reluctantly takes a job with his half-brother Tom, a man for whom he has little respect or patience. But hunting zombies is nothing like Benny thought it would be. Benny’s experiences out beyond the fence, out in the Great Rot and Ruin of post-apocalypse America, leave him questioning everything he thought he knew about the world and about his brother. But before Benny can come terms with what he has seen, a very human violence erupts inside the fence itself. Now the brothers must ride out into Rot and Ruin once more if they want to save the people they love. 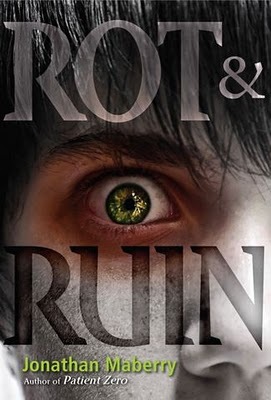 Despite the zombies, Rot & Ruin is primarily about the evil that men do when there is no rule of law. But it’s also about a confused young man learning to accept the past and contemplating his future in a strange and hostile world. I think we can all relate to that. The Weekly Rot brings you short essays on jazz, cinema, genre fiction, and random weirdness. Your authors are Dave Hurwitz and Chris Kalidor.